"Made with natural, botanical ingredients, Freeman Feeling Beautiful is a full range of skin and body care products to help you look and feel your best." 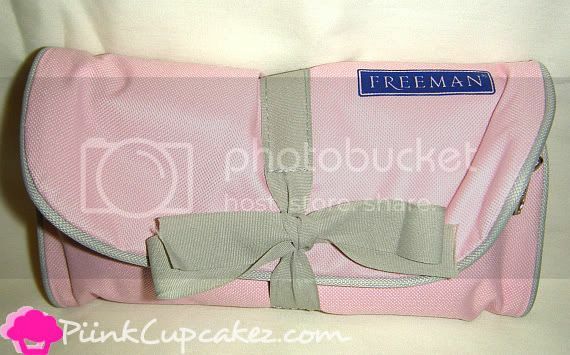 Everything was packed in this cute Freeman hanging travel case. This clarifying mask gently peels away impurities while Cucumber Extract leaves your skin smooth and silky. I think peel off masks are so much fun to use! They remind of when I used to get glue on my fingers as a kid... I would let the glue dry just so I could peel it off. Who else enjoyed that?? This mask has a nice, light, cucumber scent. It was pretty messy to apply because it's so thick and gooey. It was oozing all over the packaging. The squeeze tube one would probably be easier to use but I didn't mind since I was just excited to peel it off. This rich clay mask, with added Oatmeal and Vitamin E, draws out excess oils and dirt, purging clogged pores, leaving your skin clean and soft. This mask smells sooo good. Definitely my favorite scent out of the 3. It didn't really remind me of avocado or oatmeal. 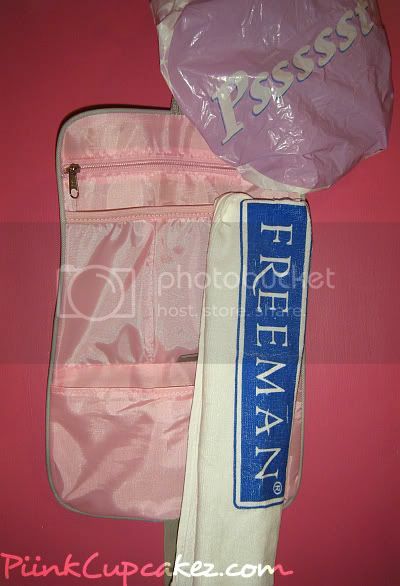 It had more of a clean scent... kind of like a Cabbage Patch Kid(I know you're loving my comparisons right now) lol. This took a while to completely rinse off. The consistency was smooth and creamy yet thick at the same time. 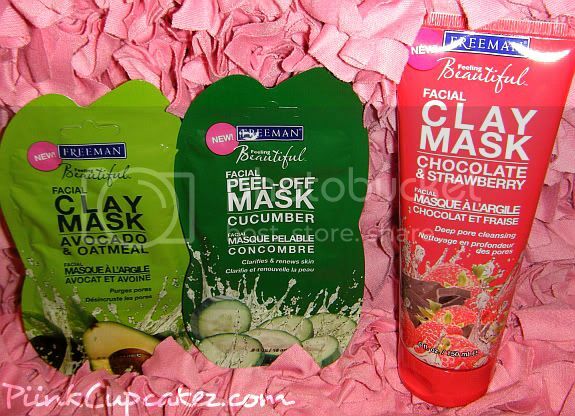 Chocolate & Strawberry Facial Clay Mask. This clay mask enhanced with Strawberry Extract helps tone skin and diminish the appearance of large pores. Shea and Cocoa Butter nourish and moisturize. Perfect for t-zone, normal and dry skin types. I love chocolate but I am not a fan of chocolate scented products. I don't care if it's lip balm, lotion, or a candle. I just don't like it. The only thing I want smelling like chocolate is the real stuff. Now even though it's not my cup of tea, I know some of you may love it. This just smells like chocolate. You can barely smell any strawberry. It feels very light and goes on smoothly. Unlike the Avocado & Oatmeal mask, this rinsed off very easily.